Most great organisations had small beginnings and the Australian Caravan Club (ACC) is no exception. When Max Watkins and Grant Stable started chatting during a happy hour at the Golden Beach Caravan Park, Qld, they both recognised the need for a nation-wide body that could become the active voice of RVers and address various problems within the RV industry. 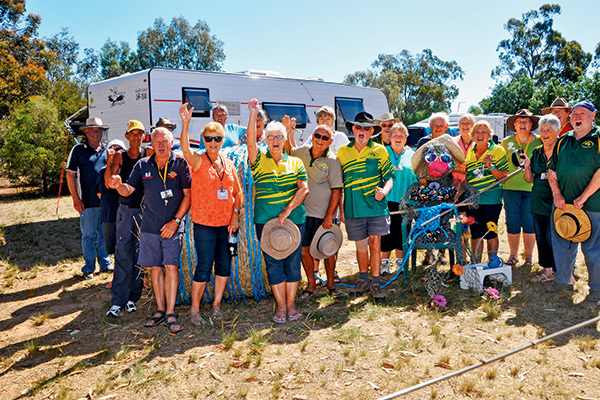 After a couple more drinks – in true Aussie style – it was agreed to establish the Australian Caravan Club (ACC), which is now in its 10th year and boasts 4500 members around the country. The ACC plays a unique role in the world of RVing which is a rapidly growing industry. Many small caravan clubs, dotted all over the country, serve an important purpose but their size limits their influence on a national level. The ACC seeks change at a government level – and that’s exactly what’s needed. Working with national and regional bodies to improve the RV lifestyle. As the club enters its second decade, we look back at some of the key people behind this national organisation, recognising that each person’s contribution is voluntary and no one receives any remuneration. 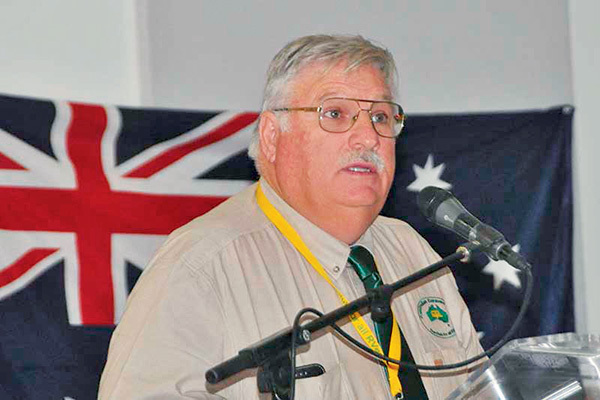 Tom Smith was the ACC chairman at the time of writing, however, at the recent ACC National Muster in Shepparton, Tom announced his resignation from the chair. 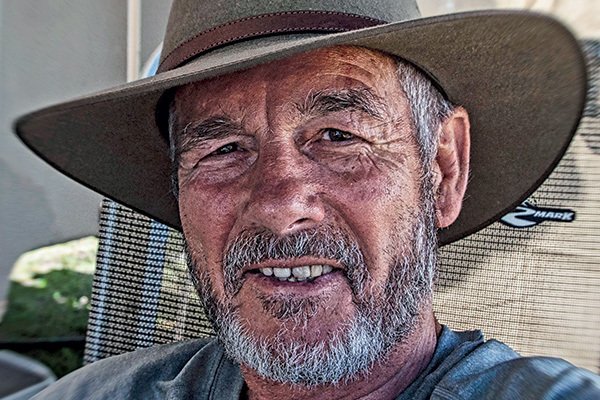 An ACC member since April 2007, Tom believes the organisation plays a pivotal role in the RV world. 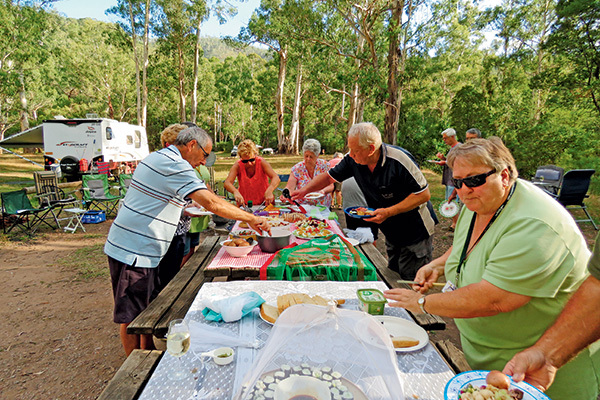 “There are many local caravan clubs which are great at organising social activities, but we needed a national organisation driven from the grassroots to represent the RV community,” he said. The way the ACC has been set up is unique. “The board consists of six people with two people being re-elected every year. As each member has a vote, it means every person has access to the board. Accountability is paramount,” he said. After being elected chairman in 2011, Tom started organising Chairman’s Musters to give members the opportunity to give him feedback about any issue that affects the RV lifestyle. “Most people couldn’t come to me so I decided to go to them so they could chat to me during a Happy Hour,” he said. Members sign a Code of Conduct and display an ACCESS sticker on their caravan or camper trailer to indicate they are serious about doing the right thing by local councils and communities. Rob Tudor took up the position as the ACC’s webmaster in 2006 and added the role of treasurer in 2008. With more than 30 years of IT experience, Rob has developed a comprehensive and dynamic website containing a wealth of information for its members and those interested in finding out more. The website is the place to go to for the latest RV news, calendar, tips and tools, a members’ directory and a Members’ Forum. When asked about the club’s achievements, Rob doesn’t hesitate. “The FarmStay Scheme was introduced, where members with properties allow other members to camp free of charge on their property for up to three days.” The scheme has been very successful and new friendships have been forged as a result. “The steady growth of the club has resulted in 45 branches spread all over Australia and each of these typically hold four to eight musters per year. 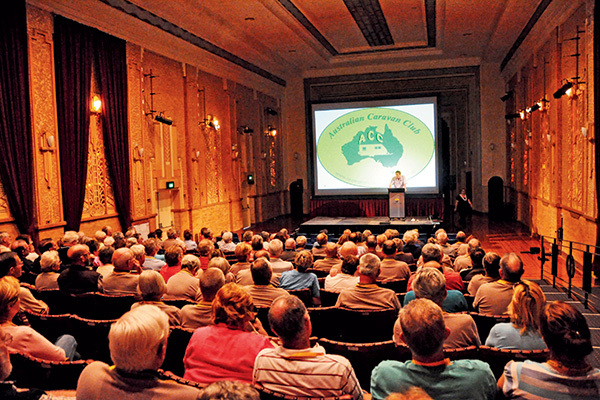 In addition, the ACC organises an annual National Muster which is attended by more than 400 members.” For the first time in the ACC’s history, the 2018 National Muster will be held in Western Australia, after an overwhelming response to a survey indicating that many members were willing to travel the distance to attend this social gathering. A man of hidden talents, Alan is a pilot and built his own aircraft. He also edits the ACC’s quarterly magazine, ‘The Nomad’ . After 35 years in the telecommunications industry, Alan enjoys his role. “The preparation of each issue gives me the opportunity to keep my writing and IT skills sharp, whilst giving a great deal of personal satisfaction in being able to present to our members a professional look and feel to their magazine, which is now presented as both a hard copy or an electronic publication – depending on member preference,” he said. During its 10-year existence, the ACC has grown into a national body with a voice that is heard throughout the RV industry. The club also boasts an extensive Members’ Benefits Program with as many as 95 caravan parks offering discounts, not to mention the many other member benefits. The full feature appeared in Caravan World #558 December 2016. Subscribe today for the latest caravan reviews and news every month!